Seeing is believing! If you are looking for ID Card Designing Company Delhi, you have landed the best spot, WebShree. 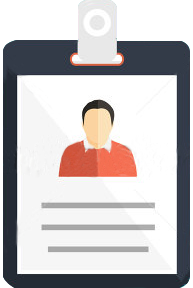 WebShree provide ID Card Designing Services Delhi. We provide our customers with the best solution for their needs. Our designs are customised by our professionally qualified team of graphic designers. Our designing services keep an eye on your business needs. At WebShree, we also offer unique custom design services for ID Card Designing. All our ID Card Designs are creative and cost-effective. All layouts / designs are made available in Adobe Illustrator (.AI), CorelDraw (.CDR), Adobe InDesign CS (.INDD) & MS Word (.Doc) file format along with Hi-resolution CMYK (.TIFF), (.EPS), (.PSD), (.JPG) image format. Request a quote for our ID Card Designing Delhi.